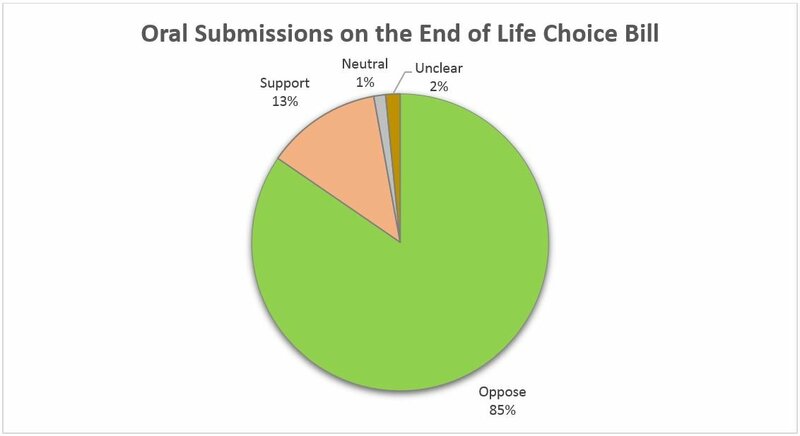 About 85 % of published oral submissions are opposed to the End of Life Choice Bill, an analysis found. Only 13 % were in support and 3 % were either unclear or neutral. The submissions of 50 organisations were published, of which 35 were opposed, 3 were in support, 6 were decidedly neutral and 6 were unclear. Of the 12 medical organisations that spoke to Parliament’s Justice Committee, 8 were opposed and 4 were neutral. About 84 % of submissions by doctors and 87 % of submissions by nurses are opposed to the Bill.Supporters of Euthanasia-Free NZ listened to all 700 submissions published on the Facebook page of Parliament’s Justice Committee (as at 31 March 2019) and recorded each submitter’s stated position on the Bill, their stated occupation and their use of religious references. The analysis is in response to claims on social media that “most” or “all” oral submissions by opponents were religious-based – claims that Euthanasia-Free NZ found alarming and worth investigating. 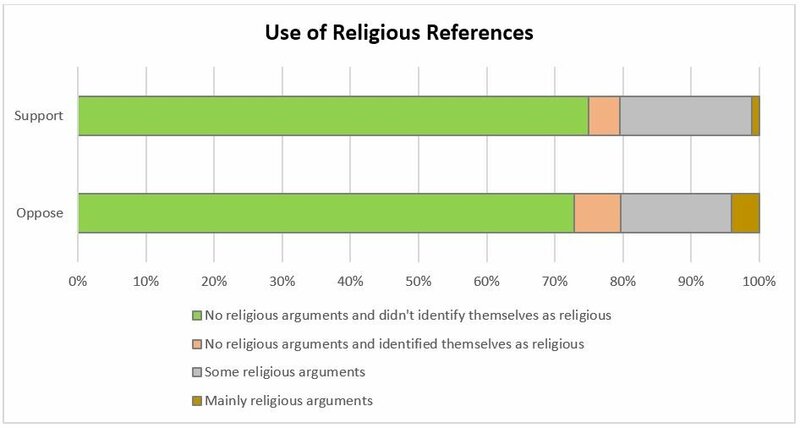 About 79 % of published submissions made no reference to religious arguments. After removing seven incomplete recordings from the analysis, supporters and opponents were found to be equally likely to use at least some religious arguments. Opponents were slightly more likely than supporters to identify themselves as religious while not using any religious arguments in their submissions, but three times as likely as supporters to base their submissions on religion.